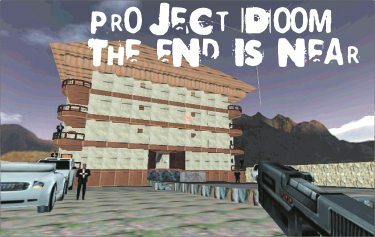 "Project Doom : The End is Near", a 3D FPS Game by four Computer Science and Engineering Students of BUET won the 2nd prize in the Software Fair of the IT Festival 2005 organized by the Computer Science and Engineering Department of Dhaka University (March 1, 2005 to March 3, 2005). The game developers are: Mehadi Hasan, Mahmudul Alam, Naimul Mefraz Khan, and Mehrab Shahriar. All of them are currently Level 2 Term 2 students. The game is developed in Visual C++ 6.0 and DirectX 9.0 APIs. An Open Source Game Engine Irrlicht is used as the Rendering Engine. All the 3D models and animations are created in 3D Studio Max 7.0 and Milkshape 3D. For sound mixing and editing Audacity is used.